Cooking With Mickey: Free Dining is Back! If you are traveling in September, you are lucky enough to get free dining! 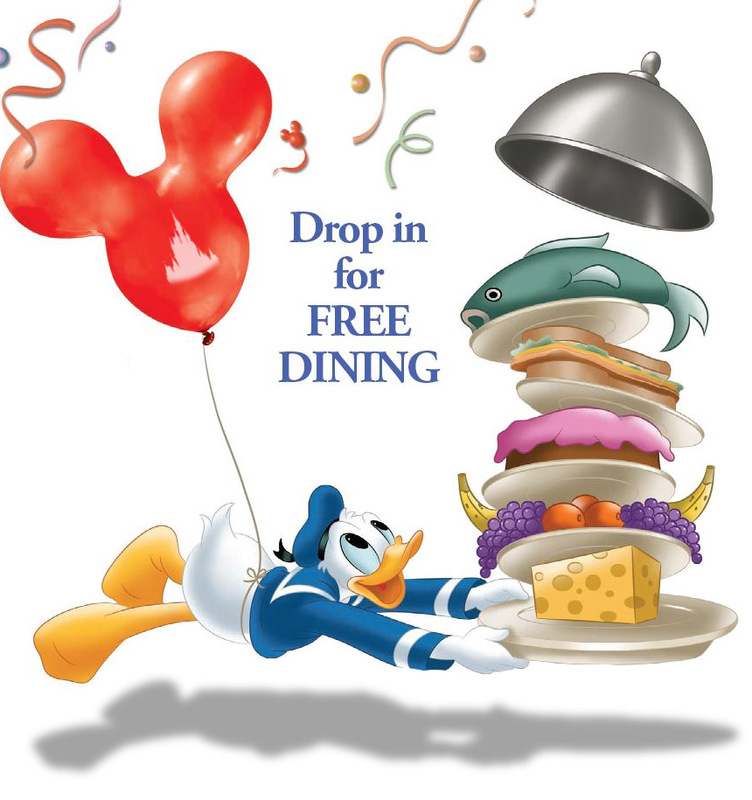 Today Disney released it's Free Dining promotion to the general public. Guests who book a Magic Your Way package at a Value resort will receive the Quick Service Disney Dining Plan for free. Guests who book a Magic Your Way package at a Moderate, Deluxe or Deluxe Villa resort will receive the basic Disney Dining Plan for free. Guests may upgrade their dining plans for the difference in cost. Offer excludes campsites, three bedroom Villas and Disney's Art of Animation Little Mermaid standard view rooms. Gratuities and alcoholic beverages are excluded from the package. Some table service restaurants may not be included in the Disney Dining Plan. Seating at some restaurants may be limited or not available at time of booking. “Free Disney Dining” requires booking a Magic Your Way vacation package with a minimum of three-night hotel stay at an official Walt Disney World resort (at the non-discounted room rate) and minimum of a two-day base theme-park ticket. Magic Your Way packages can be booked for a maximum of 14 days. However, theme-park tickets can only be purchased for a maximum of 10 days. Guests must book the “Free Disney Dining” with their Disney Visa Rewards Card and use their card and a minimum deposit to secure their reservation if booking prior to May 9. Everyone staying in the same room must be on the same Disney Dining Plan. Children (ages 3-9) must order from the children’s menu when available. Guests ages 10 and above are considered adults and children under the age of 3 years are not eligible for the Disney Dining Plan. However, they may eat for free off an adult’s plate or at a buffet.